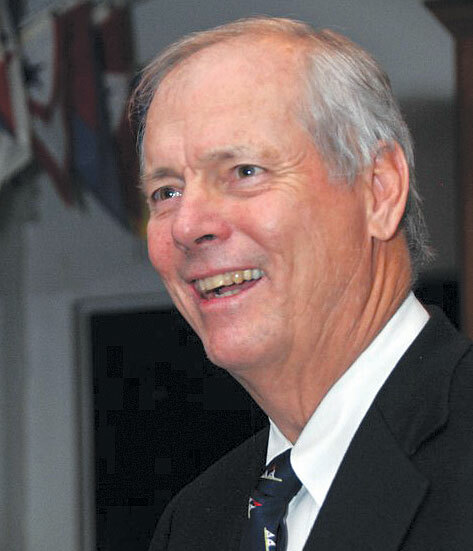 DANA POINT — World-class sailor and lymphoma survivor Gary Jobson is scheduled to speak at 7 p.m. March 15 at Dana West Yacht Club, during the kickoff event of the 2012 Leukemia Cup Regatta. Each year, Jobson tours the country, stopping at various yacht clubs and locations to speak to sailors who are looking into participating in the annual regatta and helping to raise funds for cancer research in the process. Jobson, who was recently inducted into the National Sailing Hall of Fame, will speak about his many sailing experiences — which include a 1977 America’s Cup victory as tactician aboard Ted Turner’s Courageous — along with his personal battle with lymphoma. Jobson has been the national chairman of the Leukemia Cup Regatta since 1994 — and in 2003, Jobson was diagnosed with lymphoma. In his words, he “became a beneficiary of the research advances I had helped support.” Jobson is now cancer-free. Leukemia Cup Regatta events have raised more than $38 million for lifesaving research and patient services, bringing help and hope to patients and their families. Each year, the Leukemia and Lymphoma Society picks a local honorary skipper for participants to sail for — and Asher McGarrah has been chosen this year. In November 2009, then 4-year-old McGarrah was diagnosed with Philadelphia positive chronic myeloid leukemia, a rare form of leukemia in children. Now in first grade, McGarrah has been in molecular remission since October 2011. He hopes that his last biopsy will be in January 2013. The March 15 presentation is open to the public, and costs $25. To register online, visit leukemiacup.org/register and click on the “register” tab under Dana West Yacht Club. For more information, call (714) 481-5600 or visit leukemiacup.org. May 19-20: Junior Regatta and Big Boat Regatta at Bahia Corinthian Yacht Club; 1601 Bayside Drive, Corona del Mar. June 1-3: PHRF and Cruising Class Races and Junior Regatta at Dana West YC; 24601 Dana Drive, Dana Point. June 9: Leukemia Cup returns to San Diego, organized by Cortez Racing Association, 2726 Shelter Island Drive #373, San Diego. Aug. 18-19: Second annual One-Design Leukemia Cup Regatta, hosted by Mission Bay Yacht Club; 1215 El Carmel Place, San Diego.